My front porch was looking a little dingy. My chairs were getting rusty and my pillows were starting to fade. 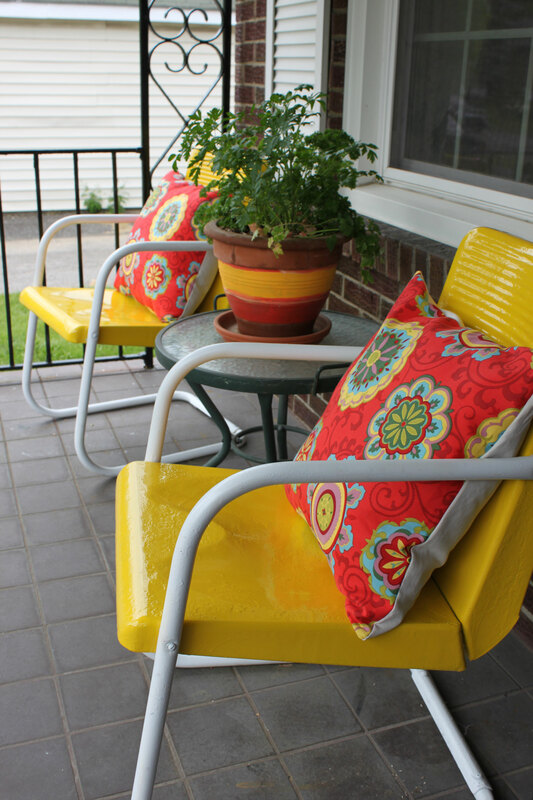 I put fresh paint on the old chairs and made new pillow covers, and now my house looks much more welcoming and colorful. My flower pot contains parsley and cilantro just a few steps from my kitchen. Spring is so nice! Very colourful and summery. Love your new pillows.